The Catacombs of Paris is one of more exclusive places to tour solely on the fact of how limited entry is at any one time – only 200 people maximum are allowed in the Catacombs at any given time. With this said the demand is still great and the entrance line can be even greater. This exclusive Catacombs tour takes the queue completely out of your touring equation, as well as takes you to places within the labyrinth of the Catacombs that are not open to the public. This tour is excellent for anyone with the genuine interest in how the Catacombs came to be – absolutely brilliant! 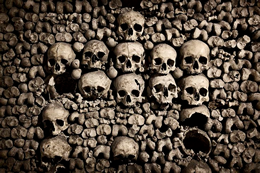 The Catacombs tour prices out at €89.00 per person.